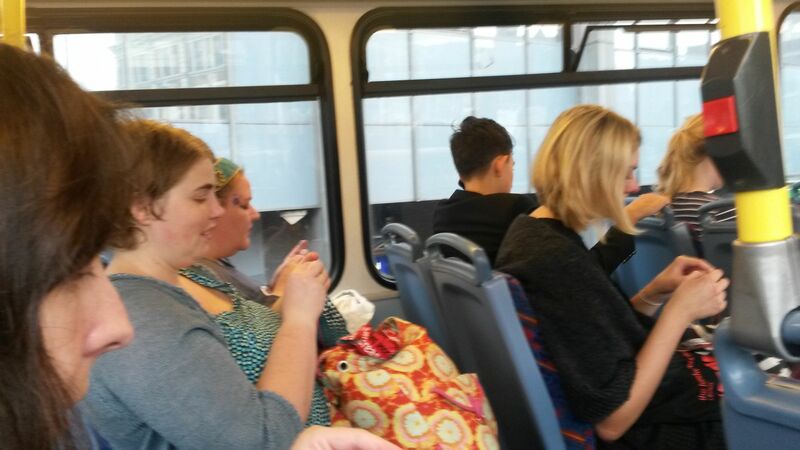 OK, yesterday was the 2nd annual London Yarn Crawl and I was out there with the rest of the fibre freaks, hitting the Handweavers Studio, Fringe, I-Knit and Mrs Moon. I also walked for miles (literally), so I may have spent pots of money on lovely stuff (which really needed me, so it doesn’t count) but I did manage to shed a few calories in the process. 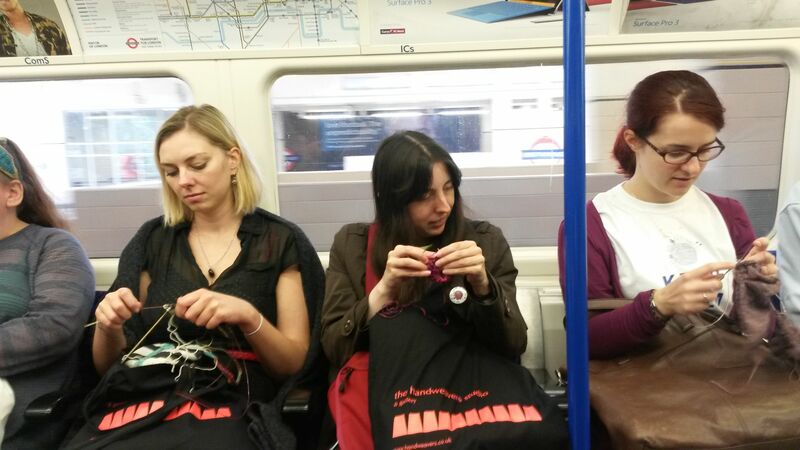 It also led to a lot of interest from slightly bemused bystanders (or, in one case, a bysitter who encountered the group on the tube as we headed to I-Knit from Fringe). 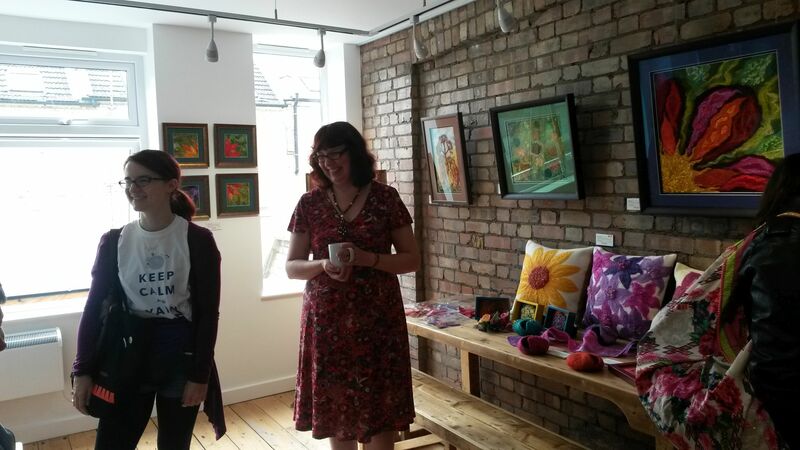 An entire day with so many beautiful things to look at, squeeze, love, buy, just admire because it was so wonderful – see photo from Fringe, where there was an exhibition of felt art. I know angels and trumpets feature heavily in most of the publically available material on the subject but I reckon Heaven undoubtedly has a fabulous yarn shop and a bunch of yarn crawlers somewhere on site / cloud. And now I have to return to my purchases as they all need some more love – especially the Sweet Georgia yarn from Mrs Moon – (which sock pattern do I chose??) and the Kaffe Fassett / Rowan Kid Sik Haze, from Fringe. So many fabulous things to play with / knit and so little time. What is it with these gloves? Ooh! Fab post! So glad you had a great time!